Ready to enter a new Zone? Executive producer and host Jordan Peele re-envisions Rod Serling’s iconic anthology The Twilight Zone for a new era on CBS All Access. 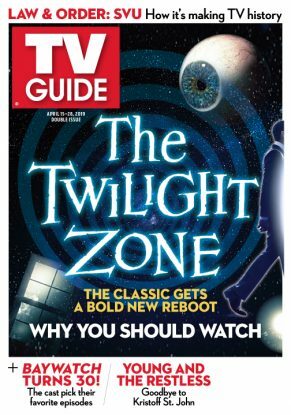 Plus: Zone’s history on TV. Also in this issue: Law & Order: SVU breaks a massive record; the Baywatch cast picks. The Final Battle: Who Will Rule on ‘Game of Thrones’? 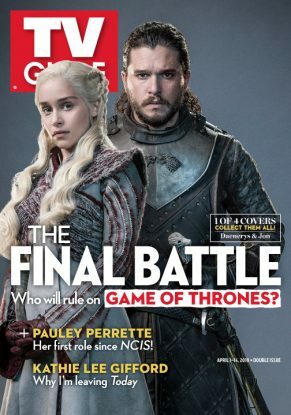 We’re sending off HBO’s masterful fantasy series Game of Thrones with not one, but four collectible covers, honoring some of our favorite characters—and best contenders for the Iron Throne. Can Jon Snow and his allies vanquish the Army of the Dead? Who will rule them all? And what will. Saying goodbye can be tough. Saying goodbye to the most-watched program on TV right now, CBS’s The Big Bang Theory, is even tougher. The cast bids a tearful farewell to the megahit and recalls first auditions, the reshoot of the pilot and more in this oral history. Plus, honoring. ‘NCIS: Los Angeles’ Wedding: Kensi and Deeks Tie the Knot! 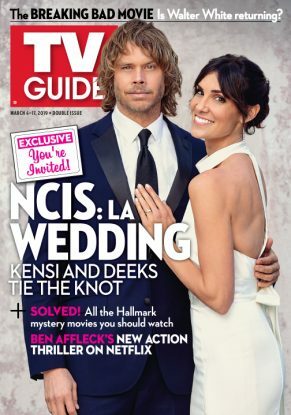 In this issue of TV Guide Magazine, we take an exclusive look at the wedding of NCIS: Los Angeles’ Kensi and Deeks. It won’t be an easy walk down the aisle—and there’s some major surprises in store along the way! Plus, details on AMC’s Breaking Bad movie; a handy.